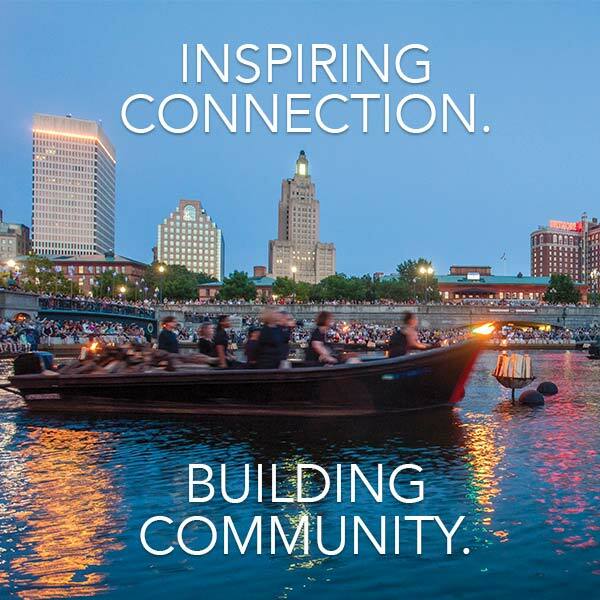 WaterFire Providence presents a full lighting on Saturday, August 25th sponsored by the Providence Tourism Council. The lighting is scheduled to start just after sunset (7:31 pm) and is set to run through 12:30 a.m.
Get the August 25th, 2018 music program as a Spotify playlist. Tonight’s music program includes selections from the “Queen of Soul” Aretha Franklin who passed away last week.